With May being Melanoma Awareness Month we wanted to bring a few stats to your attention as well as some tips for prevention and detection of this dangerous cancer. Not many people think of contacting a plastic surgery office to talk about prevention or even for surgery for skin cancer. At our Kansas City area Plastic Surgery office, we offer several options for prevention of future UV radiation as well as a great alternative to the dangerous tanning beds. More people develop skin cancer from tanning than lung cancer from smoking. This is a highly overlooked cancer with very scary statistics that we all need to be vigilant about. All skin cancer is dangerous and needs to be taken care of, however, melanoma has a much higher mortality rate than any other type of skin cancer. 1 in 50 people in the United States is diagnosed with melanoma in their life time and 1 person dies of melanoma every 57 minutes, there will be an estimated 9,940 deaths caused from melanoma in 2015, alone. 86% of melanoma cases are attributed to UV radiation from the sun or tanning beds. Out of the more than 419,000 diagnosed cases of skin cancer in the US linked to indoor tanning, 6,200 of them are diagnosed as melanoma. One indoor tanning session increases the chances of developing melanoma by 20%. These are some very sobering statistics that should be taken seriously. The sun is an important contributor of the Vitamin D that our bodies need, so spending time in the sun just needs to be done with caution. Regular daily use of an SPF reduce the risk of melanoma by 50%, that percentage can increase even more by adding a stable topical Vitamin C antioxidant. Protection from the damaging UV rays is very important in the battle against skin aging and skin cancer. Using broad spectrum UVA/UVB with an SPF of 30 or higher daily with a Vitamin C underneath will give you close to a 100% block from the damaging UV rays. 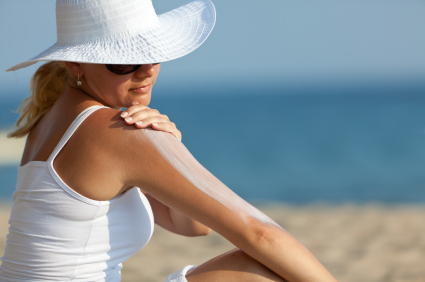 It is important to make sure all SPF's have Titanium Dioxide and Zinc Oxide in the ingredients for proper protection. 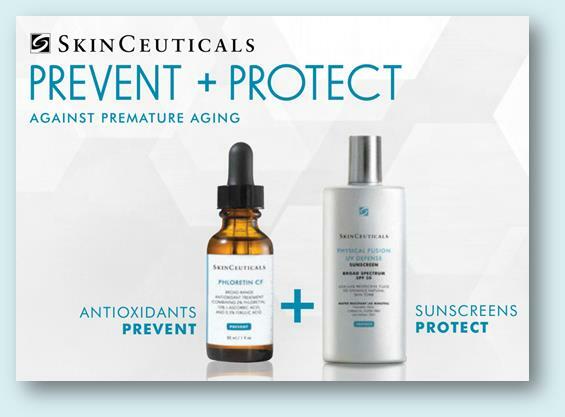 At our Kansas City MedSpa, we carry several antioxidants as well as SPF products to help protect and prevent future damage. We are also one of the only Kansas City MedSpa's to offer Fantasy Tan Spray Tanning, that delivers the most natural looking tan from a spray tan on the market. This safe alternative to sun exposure gives you an instant tan with no negative repercussions on the skin. Unfortunately, as we enter adult hood, a lot of damage has already occurred. It is estimated that if you have 5 or more sunburns as a child your risk of developing melanoma as an adult is increased by 80%. Proper detection is key to making sure these skin cancers are treated and attended to quickly. Being vigilant at the sign of any spot that is changing color or shape is very important for early detection. Kansas City Plastic Surgeon, Dr. Chhatre has been helping his patients detect and remove skin cancer, including melanoma for over 20 years. If you are concerned with any lesions that you fear are changing, or if you are just wanting to learn more about prevention and protection, contact our Kansas City office today to schedule a consultation with one of our estheticians or Dr. Chhatre.